ALD's Software Suite is a result of 24 years of expertise in development of Safety and Reliability analysis software for many of the world leading civil & military aviation, communication, space and electronics organizations including THALES, BAE Systems, Lockheed Martin, NASA, MBDA, SAGEM and more. 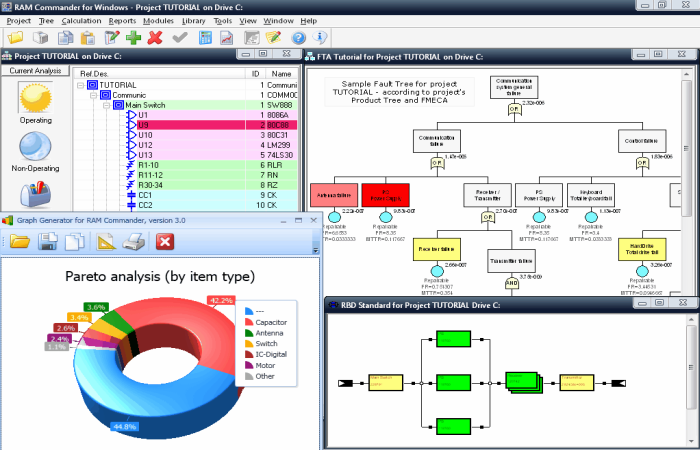 The software suite consists of a set of integrated tools covering Reliability prediction, Availability, Maintainability Analysis, Safety Assessment, Quality Management, Safety Management, Industrial Process Control. 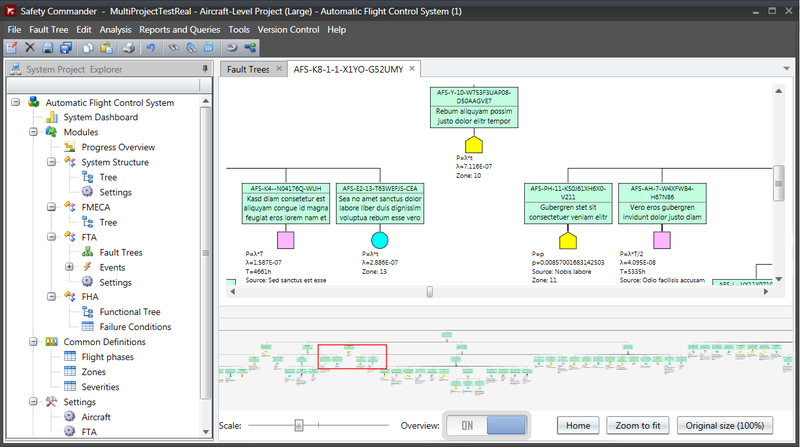 Safety Commander is an Integrated Safety Assessment tool for Functional Hazard Assessment (FHA) and Fault Tree Analysis (FTA) with the following capabilities: Single database for the whole aircraft and all its systems containing aircraft definitions and flight profile, FTA data and FHA data. 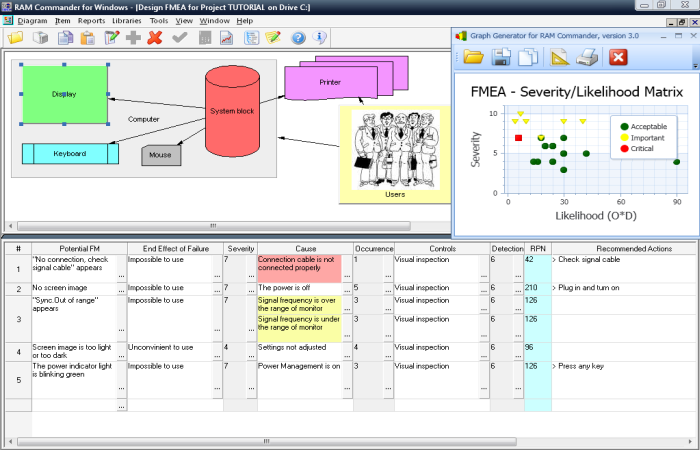 Possibility to create, calculate and analyze integrated fault trees, where fault trees of one system may be used as input for another system fault trees or aicraft-level fault trees, with correct calculation of identical common events. Advanced calculation methods developed especially for aircraft safety assessment industry, like Average probability calculation and latent events evaluation according to the latest ARSENAL recommendations. 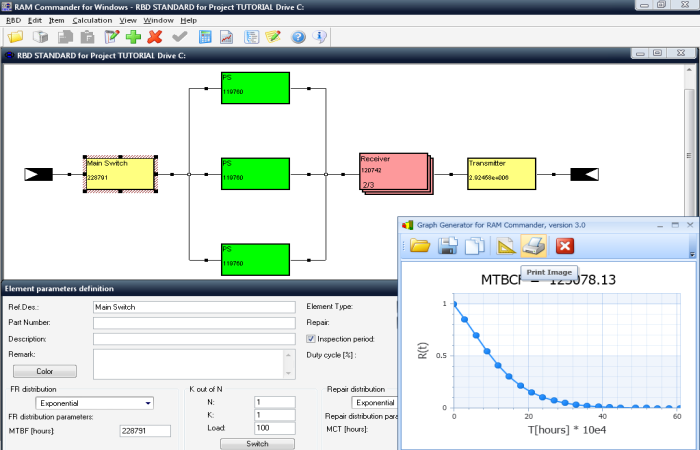 Collaboration support between aircraft integrator and system suppliers, allowing aircraft system data to be extracted from the integrated database, processed by supplier engineers and then merged back into the integrated database. 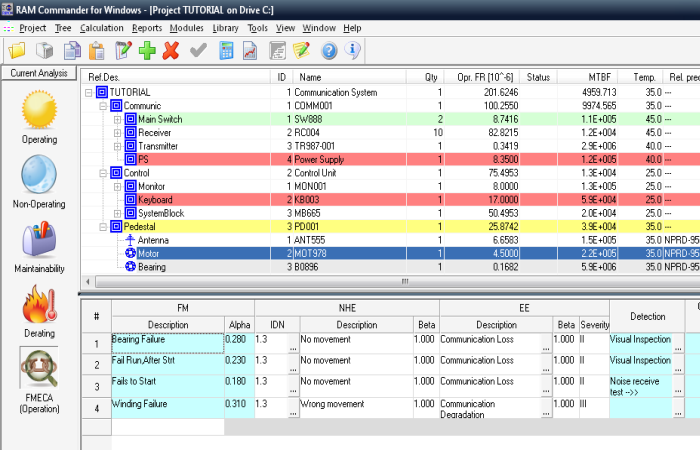 Integration with system breakdown, reliability and FMECA analysis results performed in RAM Commander. Fault trees import from CAFTA, Isograph Fault Tree + and RAM Commander. Version and revision control. High level security and role-based permissions. Modern and user-friendly user interface. Multilingual interface (on demand) and Bilingual Data. ALD's RAM Commander is a comprehensive reliability toolkit for your product improvement, designed by world leading reliability experts. From building/importing your BOM to impressive RAMS reports, RAM Commander will cover all your reliability needs. 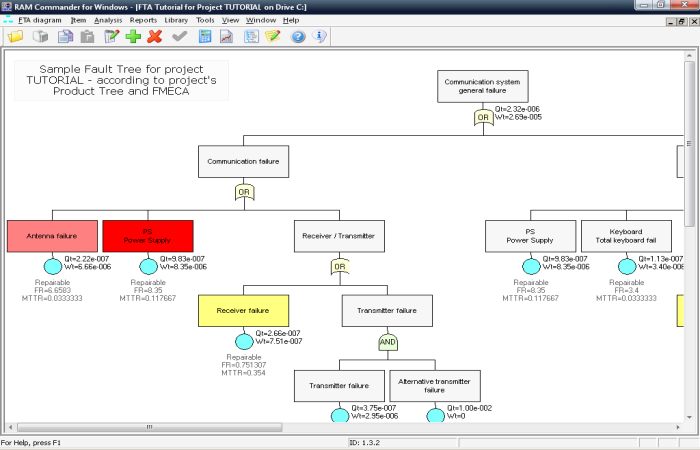 Up-to-date, intuitive and powerful fault tree analysis diagram interface allowing full control over the diagram: elements location, colors, styles, zooms, etc. Set of required reports - FTA diagram, MCS, events library etc. FRACAS (Favoweb) is ALD's third generation, web based and user configurable Failure Reporting, Analysis and Corrective Action System (FRACAS) that captures information about equipment or the processes throughout its life cycle, from design, production testing, and customers support. FavoWeb FRACAS has been adopted by world leading organizations who have been able to implement for the first time ever, a FRACAS application which seamlessly communicates with any given ERP system (SAP, ORACLE, MFGpro etc), while proving a user friendly, flexible yet robust failure management, analysis and corrective action platform.